MOORESVILLE, N.C. – Armed with a brand-new No. 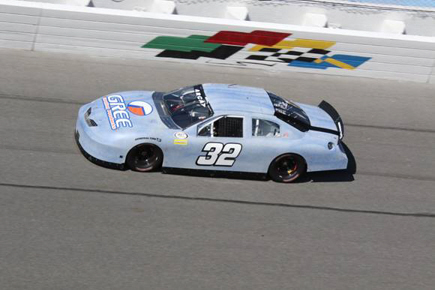 32 GREE Cooling & Heating Products Toyota Camry, Gus Dean and Win-Tron Racing left the open ARCA Racing Series presented by Menards test at Daytona International Speedway this past weekend satisfied. During the two-day test, Dean along with crew chief Todd Myers worked to dial their No. 32 GREE Toyota Camry into comfortable conditions both in single car runs and inside the draft. Posting competitive and top-10 times on both fronts, the team is anxiously waiting to return to the “World Center of Racing” for next month’s ARCA season-opener. Car owner Kevin Cywinski was equally satisfied with the results from the two-day test at the 2.5-mile superspeedway. “I really like what I saw from Gus and Todd this weekend,” said Cywinski. “Even though we’ll qualify and spend much of the race in the draft, the two really spent a lot time together working on their communication in both single car and draft runs. I’m hoping that’s a great sign for the future. Poised to make his second start at Daytona in the Lucas Oil Complete Engine Treatment 200 driven by General Tire on Feb. 19, Dean, the Bluffton, S.C. native spent a lot of time in the draft. The team’s purpose in the multi-car draft was hoping to get an early inkling on who might be the perfect drafting partner, including new teammate Justin Fontaine. “We worked with a lot of cars this weekend,” added Dean. “Justin did a really good job getting up to speed and getting comfortable in the draft. We wrestled in the draft and we both posted a good lap. There were a lot of good cars down at the test and I expect it to be the same when we come back. Already committed to proving their focus on Motorsports in 2017, GREE has confirmed an in-car camera for each ARCA Racing Series race televised on either FOX Sports 1 or FOX Sports 2 during the series’ 65th consecutive season beginning with the Lucas Oil 200 from the World Center of Racing at Daytona on Feb. 18. In seven ARCA Racing Series starts, 21-year-old Dean captured his first career victory in his second career start at Talladega Superspeedway after starting second in Apr. 2016. Overall, Dean has one top-five and three top-10 finishes and has led 21 laps in ARCA competition. 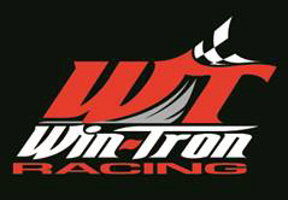 Follow Win-Tron Racing on Twitter @WinTronRacing. In 1991, GREE set out to make the world a cooler place. To this end, we’ve become a global leader in air conditioners, developing some of the most advanced commercial and residential air conditioners in the world. Based in Zhuhai, China, we’re now the world’s largest specialized air conditioner company integrating R&D, manufacturing, sales and service. It’s our mission to innovate and create new ways to help people live well and stay comfortable no matter where they live, work or play. Located in Mooresville, North Carolina, Win-Tron Racing is a professional race team headquartered in “Race City USA.” Owned by former racer Kevin Cywinski, the team will compete for the ARCA Racing Series presented by Menards championship in 2017 with driver Gus Dean in the No. 32 GREE Toyota Camry. Learn more at WinTronRacing.com or on Twitter @WinTronRacing.